Suffolk based chemistry engineering specialists Vapourtec has reached the notable landmark of appearing in 550 peer reviewed publications, making Vapourtec the clear leader in terms of research breakthroughs and published findings for flow chemistry systems. 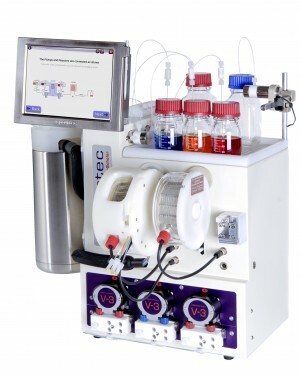 Vapourtec systems have been used in some notable published breakthroughs including the recent research from a leading academic group headed by Professor Steven V Ley at the University of Cambridge’s Department of Chemistry into more efficient production methods for breast cancer drug Tamoxifen utilised Vapourtec’s E-Series system. Also in 2012 the Innovative flow manufacturing route for Artemisinin, a drug that addresses Malaria, was published by Professor Peter Seeberger of the Max Planck Institute, Berlin. 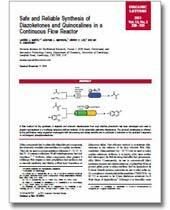 Other flow chemistry system manufacturers fall well short of Vapourtec’s impact on research with Syrris, for example, only having just reached 60 publications and Uniqsis (35) are also well off the pace. Vapourtec founder and managing director Duncan Guthrie commented: “We are grateful to our customers for choosing to use the Vapourtec systems in their research and enabling Vapourtec to stay ahead of our competition who fall a long way behind in terms of published breakthroughs. The nearest competitor has only been cited in under half the number of publications. “The R-Series, launched in 2007, and the E-Series, launched in 2012, are undoubtedly leading the way across the globe with research labs within a wide range of industries benefiting from their robustness, ease-of-use and versatility. 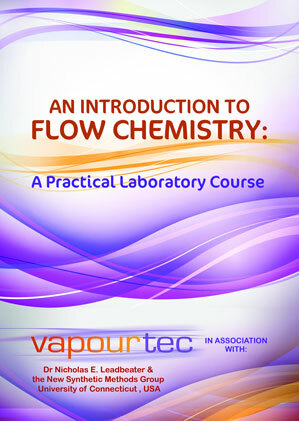 “The advantages of flow chemistry, over less efficient processes, are becoming more and more evident and Vapourtec continues to operate at the cutting edge in terms of the design and manufacture of these enabling technologies. “Whilst others may claim to be industry leaders, the facts on the ground reveal otherwise and with 20 new publications added to our list over the past 6 months, it appears the pace of productive research using our systems is increasing,” added Duncan. 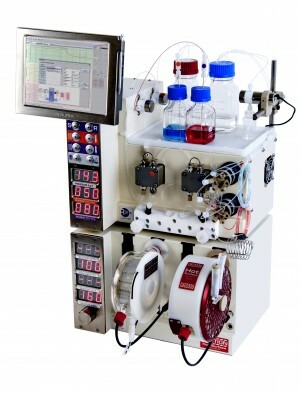 Vapourtec design and manufacture flow chemistry systems for a wide variety of sectors across the globe including education, pharmaceutical and industry with their technologies used by all of the major pharmaceutical brands.